Siemens, a German engineering company, has announced that it has begun working on a thermal storage solution that can be paired with wind energy systems. The company hopes that this new storage solution will help make wind farms more efficient in the future. Like other forms of renewable power, wind energy systems have struggled with effective storage solutions. This has made them somewhat unattractive when compared to other energy systems. With efficient storage, this may change in the near future. For its new storage technology, Siemens has been working with the Technical University Hamburg Harburg (TUHH) and utility Hamburg Energie. 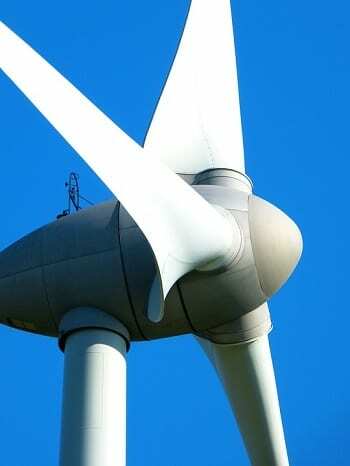 This partnership has resulted in the development of technology that can use the electrical power generated by wind turbines to heat rock-fills, which are equipped with insulated covers. When electricity is needed, these rock-fills are used to heat water and produce steam, which is then used to power turbines that generate electrical power. Similar technology is used for large solar energy systems. The new technology is currently being used as part of a test setup called Future Energy Solutions. Through this initiative, the company is looking to improve the efficiency of the system. Currently, Siemens and its partners are investigating the best arrangement for its rock-fill. Ensuring that the arrangement is perfect is crucial in order for the system to be considered viable. The next significant test of the new energy storage system will be completed in spring 2017. If successful, the storage solution could be used in wind energy systems that become operational in the very near future. The demand for efficient storage solutions for wind energy systems has grown significantly in recent years. This is due to the growing wind market. Many countries have begun to invest in wind energy systems as a way to become more environmentally friendly, and storage solutions will help make these systems more attractive.